East Sussex is based in South East England and borders Kent, Surrey and West Sussex. Being situated so close to London and also to major Ports in the South ensures that warehousing in East Sussex is very popular. We have a warehouse providers currently listed within our network who have available warehouse space in East Sussex, for the storage, movement & delivery of your products. 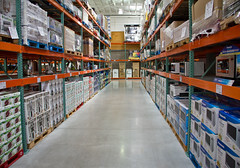 Whichwarehouse can assist in finding suitable warehouses in East Sussex and the rest of the UK. Please click on the link below to check for available warehousing companies in East Sussex. Find Warehouse Space, Pallet Storage and Order Fulfilment Services in East Sussex. Major areas of East Sussex are Hastings, Rother, Wealden, Eastbourne, Lewes and Brighton and warehousing can be found in these areas from a number of companies offering bulk storage & pallet storage for your commercial goods in addition to other services such as pick and pack and order fulfilment services, warehouses for lease, distribution and much more. If you require assistance searching for warehousing, contact a member of the Whichwarehouse team on 0800 1707 555 and we will be happy to assist further.